Incorporating a fantastic, womanly design the Head Club Technical Ladies regular fit T-Shirt with a crew neck and useful, sweat-decreasing mesh ventilation inserts for appropriate airflow. 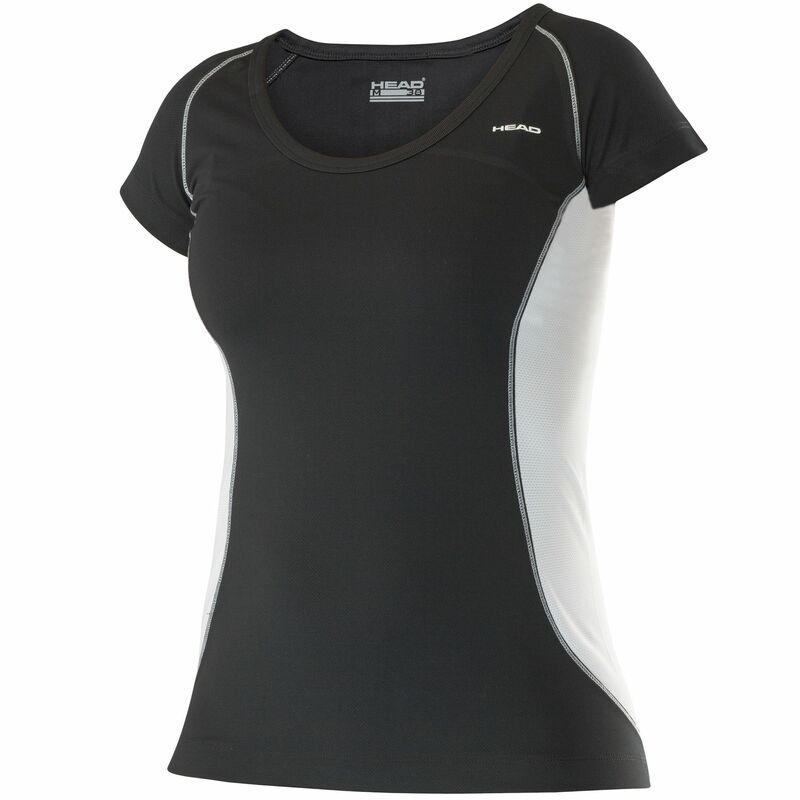 Featuring the Ergostretch technology, the Tee provides excellent wearing comfort as well as smooth body movement, on the other hand the Endodry and Ergofit technology ensure your skin is fresh by properly handling the moisture levels and granting astonishing look and fit. This excellent apparel is made of resilient polyester. for submitting product information about Head Club Technical Ladies T-Shirt SS16 We aim to answer all questions within 2-3 days. for submitting product information about Head Club Technical Ladies T-Shirt SS16. We aim to answer all questions within 2-3 days. If you provided your name and email address, we will email you as soon as the answer is published. for submitting product review about Head Club Technical Ladies T-Shirt SS16.